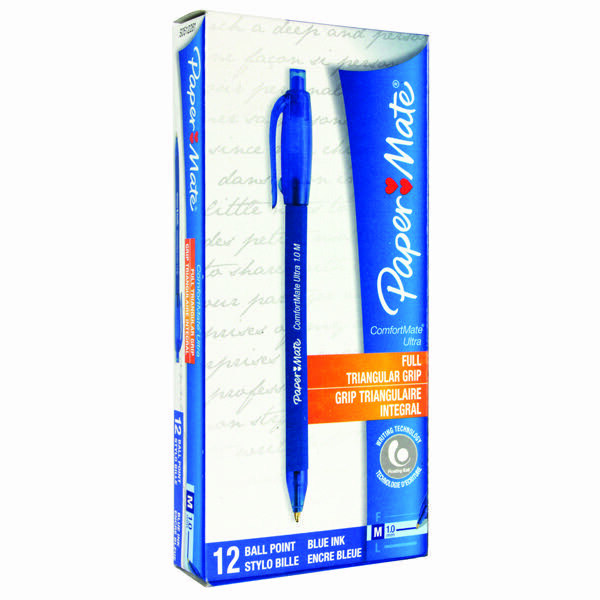 Supplied in a pack of 12, these PaperMate ComfortMate Ultra Ballpoint Pens are high quality pens designed for everyday use. The fine nib delivers crisp 0.7mm lines for precise writing, while the unique blue Lubriglide ink ensures smooth, bold lines with no drag or smudging. The ergonomic, triangular barrel fits snugly in the hand and provides added comfort and control. 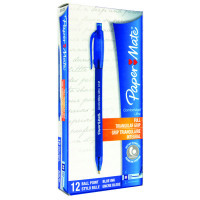 This pack includes 12 blue pens.